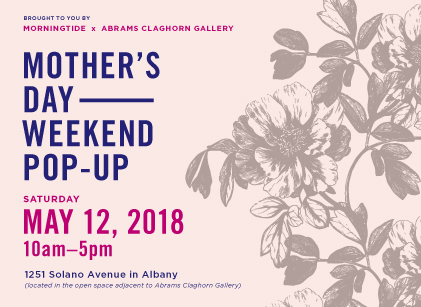 Time to buy your Mother's Day present at the Mother's Day Artisan Fair at Abrams Claghorn Gallery, 1251 Solano Ave, Albay CA 94706 located in the lot adjacent to the gallery. 10:00am-5:00pm. See you there.